You know VLC, right - the cross-platform media player that runs everything thrown at it. 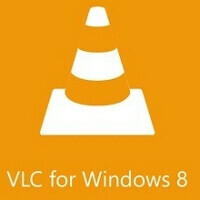 That is why we were thrilled to hear that the VLC team has launched a Kickstarter campaign for porting the player to Windows 8/RT. Given the lack of a comprehensive video player in the Windows Store, this is certainly great news, especially for RT tablet owners, as Win 8 can just run the x86 versions. To top it all off, now the VLC crew announced that they've collected north of $20,000 so far, and are branching out into porting the player to Windows Phone 8 as well. We've been in touch with Microsoft representatives, who are thrilled about our endeavor and ready to collaborate with us. They are looking into ways of supporting us directly through non-financial matters, notably hardware, technical and design help. This is great news. This actually resolves many of the concerns that initial backers at Kickstarter had, about the legality of the project, since we know what kind of video players land stock for Microsoft's newest operating systems. It turns out that the GNU GPL licences are compatible with Redmond's requirements, though, and the team even hopes to start distributing their codecs directly through the Windows app store. Great news for Windows Phone users. Wow I hope it will be featuring subtitle and audio stream switching feature... I need that all the time. This is why the Microsoft app store will do well. They are directly helping developers get things done and with that shared kernel, it really does make things much easier for them. I personally cannot wait to start building my own app. I will look forward to contacting Microsoft for that. Makes me wonder though, when is PhoneArena going to create an app for Win 8? GREAT news! Just got my Surface RT yesterday and this was the first and biggest problem I ran into - no way to play my legit, legal, purchased digital copies and downloads of movies on my Surface RT! Any news on when it will be available?